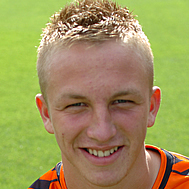 Johnny came through the youth development programme at Tannadice, representing the Club at all levels for four years, before signing his first professional deal in 2007. His first team debut followed immediately after, but required spells on loan at Forfar Athletic and Raith Rovers before breaking into United’s first team in 2010-11 some three seasons later. 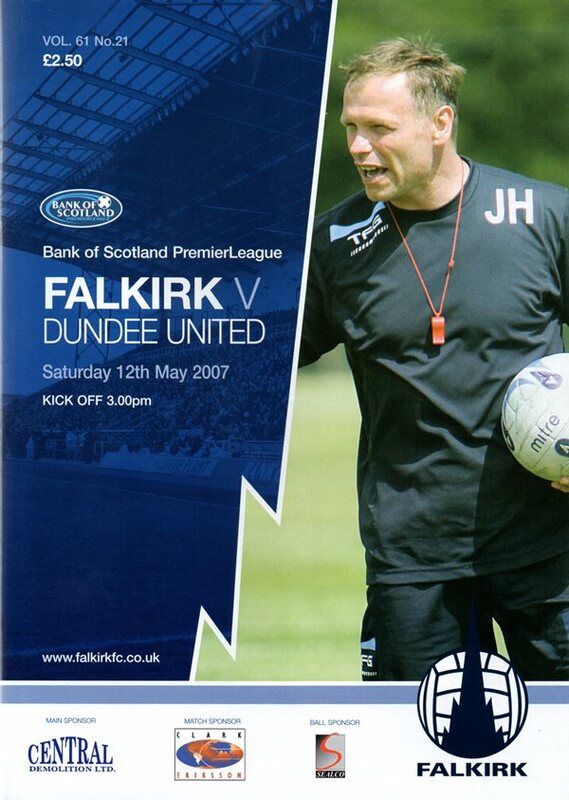 Under Peter Houston, Johnny returned nine goals in first full season as a first team player, and fourteen the season after, proving to be the perfect replacement for the departing David Goodwillie. Johnny's eye for goal and finishing made him a regular in the side, up front and on the wing and by January 2013, he had recorded three hat-tricks for the Club - one of only two players to achieve that feat in the 21st century. Scoring twenty goals in the 2012-13 season, he finished as the Club's top scorer and became United's most prolific striker since Davie Dodds, with a goals-to-game ratio of 53%. His form had attracted the attention of clubs in England and in the pre-season of 2013-14, he moved to Derby County for a reported fee of £700,000. Johnny was born on this date in Glasgow. Falkirk chalked up their sixth successive victory against Dundee United today with a comfortable two goal win. The under-strength visitors were largely toothless in attack, and sloppy at the back, and barring a decent spell toward the end of the opening half, they rarely threatened to recover from the loss of a terrible early goal. United eased through to the fifth round of the Homecoming Scottish Cup with a comfortable 4-0 victory over third division East Stirling. First-half goals from Prince Buaben, Darren Dods and Jon Daly plus a second-half penalty from young striker Johnny Russell ensured safe passage to an away tie at Hamilton despite heavy rain and strong winds making things tricky at Ochilview. Jackie McNamara named an unchanged side following the excellent 1-0 win away at Motherwell in midweek. Captain Jon Daly continued in a defence which also included Keith Watson, notably making his 100th appearance for the club at the age of just 23. Visitors Hibs also named the same line up after winning their last outing at St Mirren. Having recently signed for the Edinburgh side, ex Tangerine Scott Robertson lined up in midfield against his former club. There was plenty at stake for both sides prior to this tasty looking encounter. A win for United would lift them up into 5th place and just 2 points away from 2nd while the visitors would draw level in 3rd with Motherwell and St Johnstone were they to come out on top. United made three changes from the team that beat Inverness. Johnny Russell, Ryan Gauld and Ryan Dow dropped to the bench. In their place returned Mark Millar, Rory Boulding and Barry Douglas who was available again after his suspension. With defensive options limited due to long term injuries, Jon Daly was again asked to play in central defence.